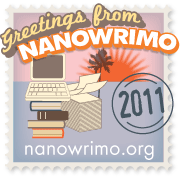 This entry was posted in Brain Candy, Write to Live, Live to Write and tagged auto immune disorder, Judas Priest, moe., NaNoWriMo, National Novel Writing Month, rock bands, Thanksgiving, writing. And also, I envy you so much for getting to see Judas Priest! I’ve never seen them live. Thanks for visiting my newborn blog, kiwikar! And good luck with NaNo – it’s my first year too. I will look for you over there! Last I checked, the buddy area wasn’t up and running. Soon, I’m sure! I’ve only seen Priest a few times, since Rob Halford returned to the fold. Good stuff. The buddy area has been working for at least 2 days now I think :). So go ahead with adding me and I’ll add you back!